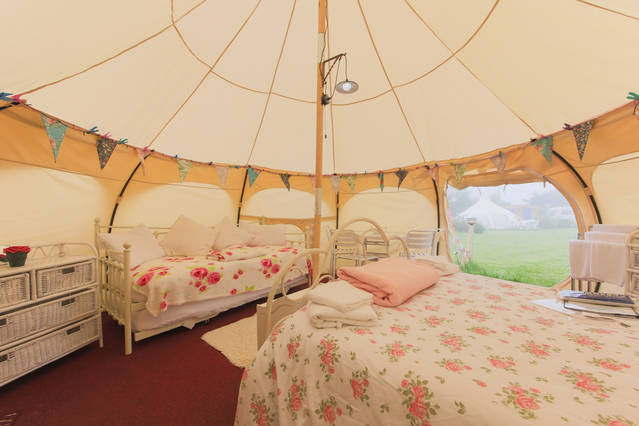 Tiny glamping site in a designated Area of Outstanding Beauty in North Cornwall with four 5m Lotus Belle tents and two 4m Lotus Belle tents each with separate wooden kitchen annex, a toilet and shower block with 4 toilets and 2 showers and a utility room for washing dishes. Earned the Rose Award 2016 and has annually earned 4 pennants from the AA. 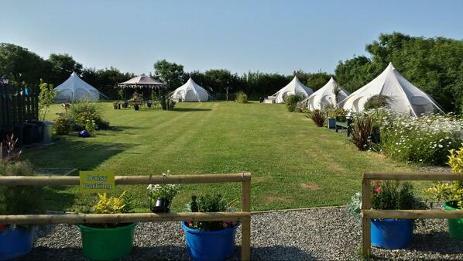 Visit Lowarth Glamping for more details or submit a direct enquiry using the form opposite.